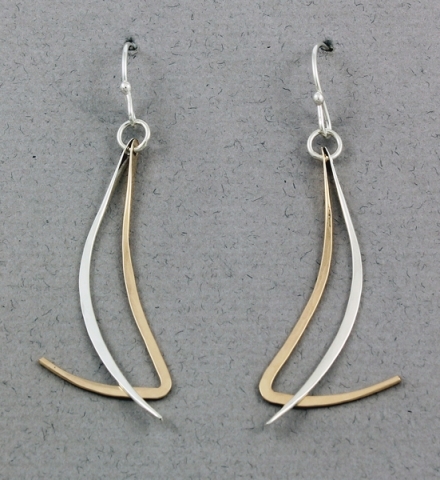 From Peter James - These curved and swirled, hand wrought and hammered earings are lightweight, frame the face beautifully, and look spectacular with anything. 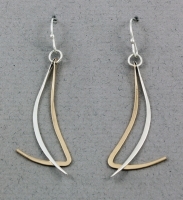 Composed of Sterling Silver and 14K Gold Filled, they measure 2 1/4"L X 3/4"W, and dangle from the ear by french wires. Peter James jewelry is handcrafted by the skilled artisans at Sausalito Precious Metals.